I spotted my first morel mushroom when I was 13 years old. It was nestled in an upland forest behind my house in Pennsylvania. Its brain-like conehead cap protruded through the dark humus and fallen leaves. It was so beautiful. I was mushroom collecting that day, but I had no interest in plucking this specimen from its forest habitat, seeing that it was my first sighting of a morel—and the only morel around. Instead, I collected stones and placed them in a circular pattern around the mushroom. I wanted it to serve as a reminder where I first spotted the morel, and see if it would pop up in the same place next year. I would venture into the forest almost everyday after school during the spring (spring and fall are marvelous times for foraging mushrooms!) but never did see a morel there again. It wasn't until I headed out to British Columbia where I would see morel mushrooms, and in such abundance! I had flown out to Vancouver and traveled a few hours north to the alpine-arctic border just on the southern edge of the Spatsizi Wilderness to meet up with Canadian-born anthropologist and activist, Wade Davis. There was pressure from Shell Oil & Gas to explore an area of territory owned by the Talthan peoples known as the Sacred Headwaters. Wade had most notably described this area as "the Serengeti of Canada", as its a region that is in close proximity to three of Canada's most important salmon rivers: the Stikine, Skeena and the Nass. 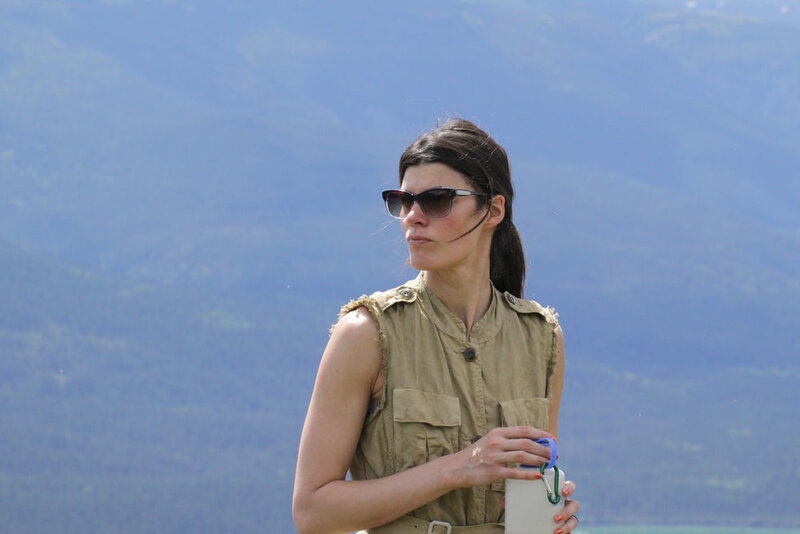 The area has an abundance of grizzly, caribou and wolf, and also just a surreal abundance of natural beauty. 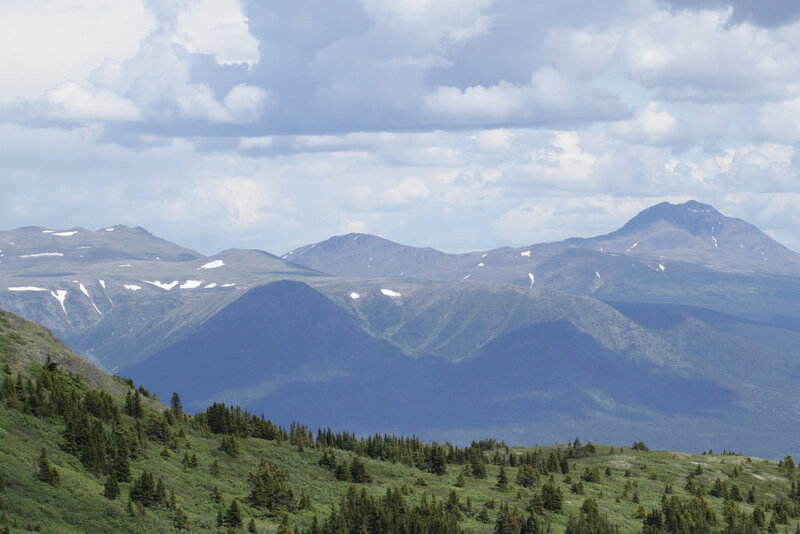 We had committed to doing a campaign and film around Saving the Sacred Headwaters for Above, which you can see below. It'll give you a sense of how gorgeous the area is—and what it was up against. Wade shared that the film was presented both on stage and in court, which ultimately led to a tripartite agreement between the B.C. government, the Tahltan Central Council and Shell to stop drilling. Every little bit of action helps. In this short film produced by Above, Wade Davis, Oscar Dennis and I discuss the issues around the conservation and preservation of the Sacred Headwaters on the alpine-arctic border of British Columbia. Cinematography: Clayton Haskell. I got to experience some of the heavenly beauty of the area firsthand. We hiked up to the top of Sky Mountain, overlooking the gorgeous watershed below. Since there were no trails in this area, we resorted to following animal trails through the forest and meadows and breaking branches, so we could find our way back. "You think the area looks familiar," Wade advised, "but as soon as you turn around, the whole landscape looks different." Overlooking the valley on top of Sky Mountain. The setting was a slice of heaven and it was easy to get wooed by the majestic overlooks. We paused for a few breaks on the mountain just to take all of the scenery in. It so easy to become intoxicated with nature's beauty. Trevor and Damon follow some of the animal trails. It's actually easy to get disoriented while walking in such a vast landscape. Scarification from both large and small. On the left we saw some grizzly marks on a tree. Bears will often strip bark in spring to get to the center of the tree. On the right, the larvae of a wood boring insect creates patterns in fallen wood. You'll often see patterns emanating from a parental central chamber. I was always fascinated by these shapes, so I often collected the bits of wood as a teenager. A member of the evening primrose family, this Chamerion latifolium, also known as dwarf fireweed or River Beauty, has these gorgeous deep-reddish purple sepals, obovate petals, 8 anthers with filaments. The native peoples eat every part of this plant—from the flowers, fruit, to the leaves. Flowers emerge from mountain meadows. Monkshood (Aconitum napellus) was one of the easier flowers to identify for me since I've seen it before. It was easy to get sidetracked by the beauty of the landscape, so you had to make it a point to look at the interesting insects underfoot. I wasn't able to identify these white alpine flowers, so do write if you know what they are! Red columbine was also quite plentiful throughout the meadows (Aquilegia formosa). A bee fly alights on an alpine flower. I had seen so many different species of insects mimicking bees. Though these mountains are covered in snow in the winter, during the spring and summer months, the entire landscape comes alive. It's easy to get sidetracked by the all-encompassing grandeur of the landscape—the empyreal sky, the contoured watershed below, the majestic overlooks—that it's almost easy to overlook the seemingly insignificant life teeming right below your feet. A whole cadre of insects, flowers, lichens and mosses burst forth on these mountains in the springtime, and I hope to have captured some of that beauty here. Grasses and sedges in the Canadian alpine had a tremendous amount of character! Pixie cup lichen (Cladonia asahinae) and one lone Red soldier lichen (Cladonia cristatella). I often notice these two growing together. Cladonia alpestris or Reindeer moss lichen looks like miniature shrubs close to the ground. One of the species of Shield lichens growing on a twig. I had always been fascinated by lichen and that fascination was fostered even more through my 8th grade biology teacher, Mr. Alessio. Lichens are an intimate symbiosis between fungus and alga and produce fascinating displays of color, like this red rock lichen. I believe this is a Hypotrachyna lichen with Candelaria concolor lichen. The Usnea genus is a group of pale gray-green lichens that commonly are seen in twigs and branches. Some of the bearded lichens grow so long, whereas others are like tiny shrubs. I began to take notice of a variety of fungus along the path, particularly in the wooded trails. Jelly cup fungi, slime molds, and all types of fungi abounded across the alpine landscape. I spotted the first black morel on top of one of the highest peaks on Sky Mountain. It was just out in the open, in plain site, and not near any trees. When I hike, I'm accustomed to looking down and am programmed, (largely due to my fascination with insects), to seek out quick movements from small creatures. In fact, I've always liked the small and seemingly insignificant, so I suppose that's how I was able to spot the first morel mushrooms on top of an overlook that we were approaching. When I saw the first one I got excited, and within seconds, I started to see dozens more. I called my team over to share what I had found, and we agreed that this would be quite a treat for dinner. I often bring collecting containers with me—either for insects, seeds or the like—so I used those to store away our morels. 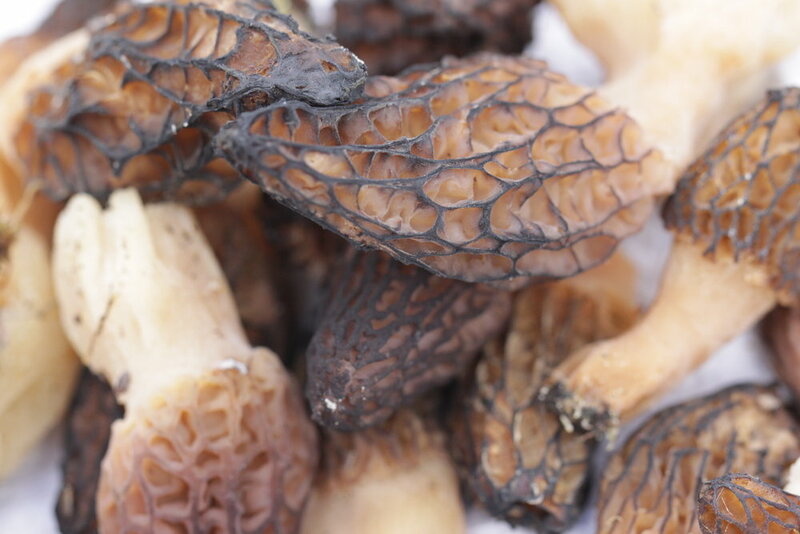 Morels, as you can see, have a fairly distinctive cap. I say they look like a brain, but if that grosses you out, then note how they are ridged and pitted like an irregular honeycomb. There are some "false morels", which aren't edible, so note how the caps of the morels below are attached to the stem, and if you slice one of the morels lengthwise, you'll note that they are hollow from the tip of the cap all the way to the bottom of the stem. They grow in close approximation to conifers, typically, and even though these weren't right next to a tree, there were plenty of conifers nearby. Look at the harvest we found! We also made sure not to pick them all, but there were dozens of black morel mushrooms (Morchella elata) that we could choose from. I was a bit unprepared for taking up so many morels, but luckily I had some storage containers on me. Typically I would have a basket for the mushrooms, or wrap them up carefully in a mesh or cloth bag, but these containers prevented them from being damaged. This isn't the photo from our feast, but I wanted to share an approximation of what we did, which was cleaning up the dirt from the morels with a rag, and sautéing with a little butter and sea salt for around 3-4 minutes.